This article written by Georgie from Drill Service features 5 interesting ways you can reuse pallets in your DIY projects. There are countless different DIY projects you can work on with pallets, as they can easily be recycled to create a number of cool objects. Their versatility and affordability has made them a firm favourite amongst avid DIY fans. 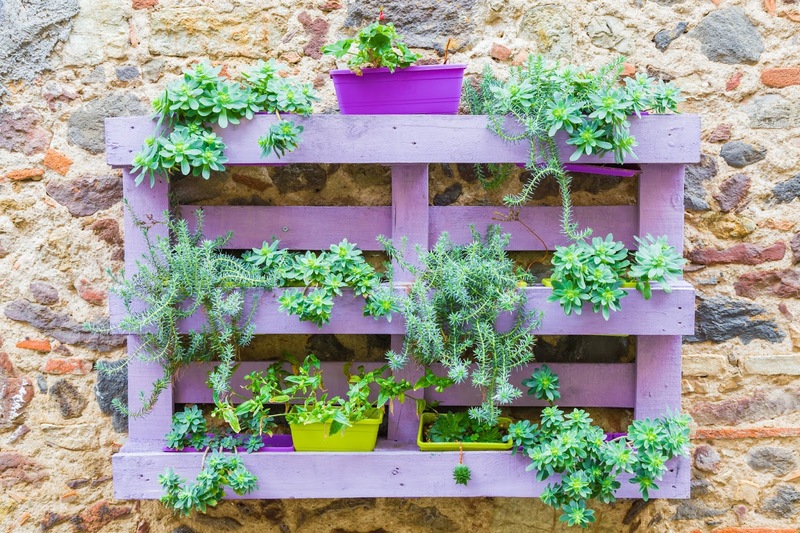 Here are six cool ways you can reuse pallets for some amazing results. Rustic weddings are becoming increasingly popular, and they also offer the perfect opportunity to get creative and do some DIY. Pallets are a great fit for creating a rustic, natural look for your wedding, and their versatility means you can create a range of different decorations that are also functional. Trough-style flower pots look amazing as centre pieces and can be personalized with your choice of flowers to fit in with your colour scheme. They can also be used as champagne or beer crates offering a ‘help yourself’ gesture to your guests. Whether it’s for your home, office space or coffee shop; pallets used as shelves offer a unique look that is incredibly easy to recreate. Simply paint a small sized pallet to suit your taste, and insert slats for a secure shelving unit. Either fit more than one pallet together to make a larger shelf that can sit on the floor, or use alone to fix to walls. Fill each shelf with plants or other decorative accessories. Making an outdoor sofa from recycled pallets is an extremely affordable way to transform your garden space. It is a fairly straightforward task and you can tailor the sofa to suit your personal needs, for example if you only have a small outdoor area then you’ll want to opt for a small two-seater sofa, whereas if you have a larger garden you can get away with creating a corner sofa. Once you’ve done the hard work and built the sofa, all you need to do then is find the right-sized cushions to fit. Requiring minimal tools, money and effort; making your own pallet sofa is an amazing way to save money. Running out of storage for your beloved bottles of wine? Then why not create your very own bar out of recycled pallets! Again, depending on the space you have available, you can either make a shelf-style storage bar to hang on your wall, or alternatively you can go all out and build a full-size standing bar. A top tip for professional-looking results is to drill in small holes underneath a shelving section that allow you to hook gin or wine glasses on to hang upside down. Arguably a slightly bigger task suited for more experienced DIY fans; building a shed out of pallets an instantly provide you with any much-needed extra storage space. You can also be as creative as you like with this task, and either create a simple, traditional sized shed and sand and stain it, or you could go the extra mile and build a barn-style shed. Check out this incredible pallet shed for inspiration if you feel up to a DIY challenge! One of our favourite pallet projects to date has to be to make your very own children’s teepee. This really simple yet effective task takes playtime to the next level and adds a touch of magic to your outside area. Once the teepee frame has been built from the pallets, you can then use a sheet of fabric to cover the outside and to make it extra cosy; add some fairy lights or lanterns inside. Drill Service is a privately owned limited company specializing in the manufacturing and sale of power tools. They have over 50 years of experience in the tool industry, with their expertise being cutting tools and reamers. They also have extensive knowledge about DIY tasks and tips.